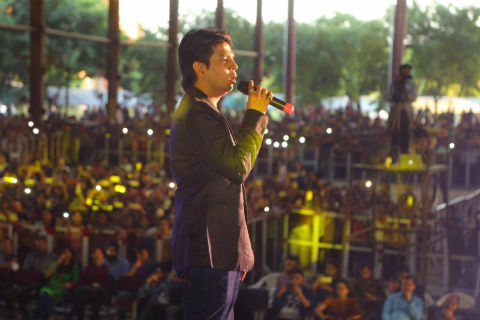 Jalandhar: Famous bollywood playback singer and music director Ankit Tiwari reached Lovely Professional University today and enthralled thousands of the students through his brilliant performances. Film-fare award winner Ankit let students and members of the staff enjoy his favourite songs Sun Raha Hae Tu, Gallian Teri Gallian, Tu hae ki nahin” and more. On this occasion, LPU students of Film Production and Journalism got important bollywood entry tips from him. Students enjoyed on his rhythms and tunes and kept dancing and yelling throughout his programme at LPU Stage. Interacting with LPU students, Ankit Tiwari told: “If I get perfect opportunity, I will work for music of different geners. 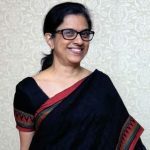 However, I do not want that my songs and music is vulgar in any way.” He also informed students how in different songs he has used the changed forms of Guitar, Sitar, drums, santoor, flute and more. He als shared that his such changed versions were beautifully appreciated by the persons in the music industry.